25 years old. Unmarried. I’ve been working as barista for 5 years already. I graduated from Minsk State Linguistic University. What coffee-producing country most interests or excites you? What are your interest outside of coffee? Travelling, rafting, reading books, dancing. Is there anyone you would like to thank or recognise, or who helped you to prepare for the WCIGS? Yes. The owner of coffeeshop “Zerno” Anna Gromova, my coach Maria Bolat and all my friends,who gives me a support all this time!! I have been a barista for 8 years. Before that, I worked as a bartender. I was introduced to the world of coffee by master barista Emilio Rodrigues, owner of Casa do Barista. He taught me much of what I know about coffee. When Emilion needed to travel to France, he entrusted the Casa do Barista classes to me and I became a teacher at Casa do Barista. For 8 years I have been teaching courses at Casa do Barista. I give a barista course and a latte art one. I am a partner of a specialty coffee distributor called Grã Barista, which has several coffee brands and also works with sales and rental of coffee machines. I am also a barista partner at Curto Café, which is today one of the best coffee shops in Rio de Janeiro. What was your first amazing experience with coffee? During my first visit to a coffee farm, I could see up close all of the hard work and complexity that’s involved in producing and working with coffee. Besides your own competition drink, do you have a favorite cocktail? Brazil interests me most. 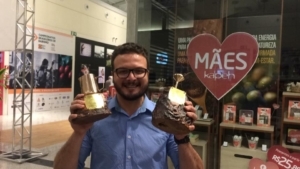 I still need to visit some coffee producing regions to get more experience with Brazilian coffees. I play football, practice jiu-jitsu, and like to watch movies. In the future I see myself working with roasting together with a coffee shop. I would like to thank the BSCA team for all of their support, the Curto Café team, and the great mixologist Walter Garin who has been training me. First, I’d love to be world champion! Ha ha! I hope to learn from other baristas. If there’s time, I’d like to visit coffee shops and do some sightseeing. I’m working as a barista for Czech speciality coffee roastery Doubleshot. Burundi – so much potential. I would like to thank to our team at Doubleshot and my girlfriend Renča. Visiting my coffee friends from Espresso Embassy. And thermal Baths. I’m 22, in the coffee industry since 2013. 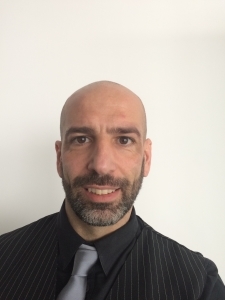 I’m currently barista and trainer at Lomi in Paris. Second time in the world championship and super excited about this! Looking forward to having good time in Hungary! In 2014 I had an espresso of a Burundi coffee from Kayanza. First specialty coffee espresso with an amazing taste of brioche, butter and nuts. Still in my mind eveytime I’m trying to create a sweet coffee cocktail. Manhattan cocktail—amazing classic dry and bitter cocktail that I love ! Ethiopia, Kenya and recently Panama. I used to play bowling as a competitor for 8 years, but now I’m doing a lot of photography. Don’t know actually… In Paris, somewhere else..
Lomi—the whole team. SCA France for organizing the national championship and all the people that are involved in my life and encourage me in these championships. Visiting the city, meeting new friends and having good time ! Proud barista at The Underdog®. When I first tasted an espresso from my trainer Mr Tasos Delichristos. A new world of taste opened for me! “Negroni” because there is a combination of ingredients that brings balance between taste elements: sweetness-accidity-bitterness. Panama. Once considered to be the “laughing stock” of speciality coffee industry,but Panamian coffees from the Boquette region are now a rising star. Farmers are taking coffee cultivation in new levels! With the same team and company I now work with: The Underdog. As our goal is to become better and better every year. 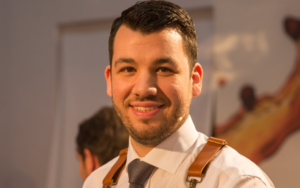 As a position in the company I would like to be a roaster but I know I have to kill Tasos to do that…. and off course all the stuff at The Underdog that we work together and they helped me during my preparation for the competition. After high school I became a waiter and a barmixer. I was working as a bartender in bars and in other fields of hospitality. I am working with coffee for 10 years and with competing and with speciality coffee for 4 years. 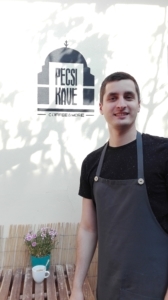 For 2 years I have my own speciality coffee shop in Pécs where among other drinks we focus at our own seasonal coffee in good spirit recipes. AST Trainer. I also obtained the SCA Coffee Diploma System certification. barista, latte art, SCA courses. The first time I saw coffee roasting. For the last 17 years my first passion has been the coffee and I think that this passion will be forever, but nevertheless I do not think I have limits, therefore I do not like to make long-term plans. Certainly I am going to visit the city and my friends who live there. I have a career as a varistor for 8 years. 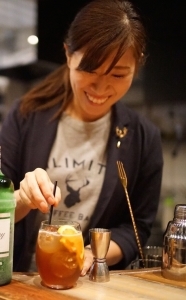 I currently work as a barista/bartender at the UNLIMITED COFFEE BAR, and I am involved in coffee and alcohol at store every day. When my master made me a cup of cappuccino of Colombian Naranjos full washed processing, it was my first time to drink a coffee of a single origin of specialty coffee in my life. I was very surprised the taste, sweetness, and flavor that are not like ordinary coffee. I think that I will be involved in coffee and alcohol with wonderful people. Excellent coffee and alcohol, in an amazing environment just like now. Owner, master, teammates, barista training lab member, people related to the competition, customer, and family… I have always received a lot of power from them! I would like to enjoy meals, sake, townscape, people in Budapest. 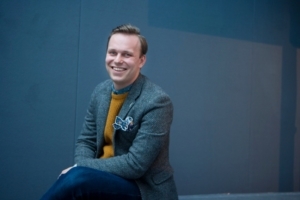 Founder and CEO of Dromedar Kaffebar. Working hands on with speciality coffee since 1997. 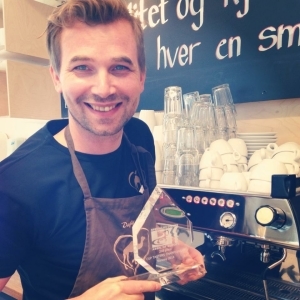 Former Norwegian barista champion. Coaching and training barista, alongside running 10 shops and a bakery. 2000-2005 second, third or finale rounds Norwegian Barista Championship. A perfect made white russian, Negroni or Aperol. I like them all – been to India, Africa, Central-America and South-America. I’m still in the coffee buisness, still CEO of Dromedar Kaffebar. We then have 20 shops, 200 barista and my barista’s competes at the highest level at the World Championships. Myself are jugding at the same level. All my wonderfull barista at home. Without them doing a fantastic everyday job, I wouldn’t have been able to concentrate and spend so much time training towards this Championship. My three wonderfull boys, and my beautiful girlfriend. Looking forward to spend time With good coffeefriends. Learning from each other. 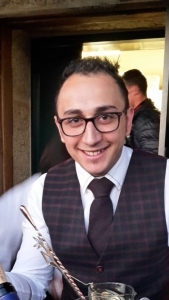 Co-owner of the El Koktel bar awarded with the “Best Cocktail Bar 2015” prize in “Bar of the Year” plebiscite. 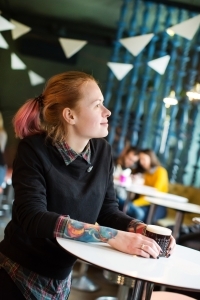 Gaining hospitality experience in Poland and outside it’s borders. 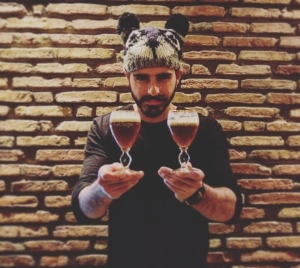 Finalist of many international bartender competitions such as Tahona Society Cocktail Competition 2016, Diageo World Class 2015, and Bols Around The World 2013. 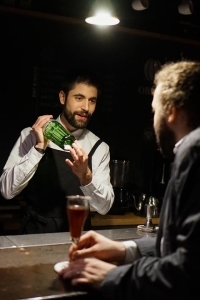 Member of the prestige academy – The World’s 50 Best Bars – selecting the best cocktail places all over the world. A passionate lover of coffee, tequila and latino cuisine in general. 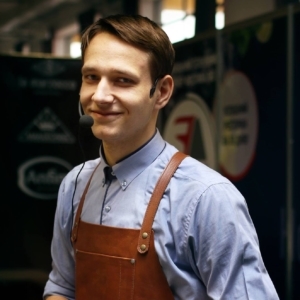 2017 Poland Coffee In Good Spirits champion, 1st place. It was at the beggining of 2012 when my friend introduce to me Siphon Coffee brewing technique and first cup of speciality coffee which I drank back then. I realise that I can find as many different flavours and aromas in coffee as in spirits such as e.g. whisky. I truly enjoy Tommy’s Margarita or good classic Martinez. Ethiopia is a coutry which I would like to explore and see. Happy somewhere on earth, to be honest with you I have no idea. I really want to still develop myself in bussiness, learn culinary techniques, acquire knowledge from coffee industry. I would like to thank people who helped me a lot: My coach and his team – Konrad Oleksak from Kofi Brand Warsaw. My girlfriend, team Coffeedesk shop, and friends who support me. I’m going to visit my friends who live there and see the city to checked how the hospitality industry evolve since I was there few years ago. I have spent the better part of the last 10 over years in the Food & Beverage industry in various capacities from chef, to bartender and now barista and educator. I love coffee but I also do love a good cocktail. 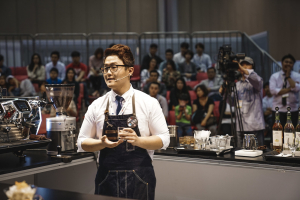 I’m excited to be at the World Championships to showcase my cocktails and my love of coffee and to meet the coffee community that will be there. 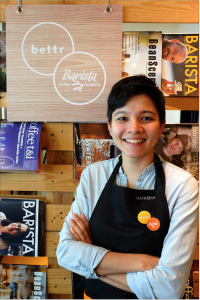 I work for a company called Bettr Barista Coffee Academy based in Singapore. We are also a for profit social enterprise that helps marginalised women and youth at risk become baristas. We change lives through coffee! 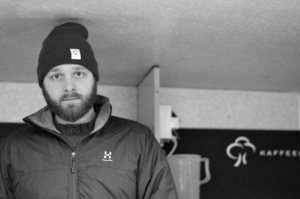 My journey in Specialty coffee has been incredible, its only been about 3-4years now and I am still constantly learning and I urge more women to take part in competitions and to continue to push forward within this industry because its really such a great time to be in Specialty Coffee now. I used to live in San Francisco, so I have very fond memories of getting specialty coffee from Blue Bottle when they were getting really popular around 2007 – 2008. I remember getting New Orleans Iced Coffee with Chicory and their Syphon brews and it was really amazing. Old Fashioned – one of my all time favourite classics. Dark & Stormy – great for anytime of day especially in the tropics of Singapore. Gin cocktails… Any spirit that has been fat washed! Gesha, South-West Ethiopia. Gesha Village Coffee Estates specifically. FOOD! Cocktails, Art, Museums, Music. Sports and the Great Outdoors. 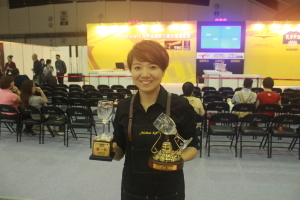 I hope that I would have achieved my goals in Specialty Coffee in the next 5 years. Whether that’s in regards to competing, learning to roast or improving myself as a barista. I would like to start something on my own by that point, and that’s not necessarily a cafe but still within the F&B industry. Yes definitely! I would like to thank my parents, family & close friends first for supporting me all these years in my adventures. To the team at Bettr Barista for all the coffee stuff and for getting me to where I am today in Specialty Coffee. And last but not least to the bartending community in Singapore for their time, training and support to get me here today! Pretty much everything! It will be my first time in Budapest and this part of Europe. So I am excited to check out the food & drink scene. The museums and art galleries. Food markets and just enjoying anything cultural when I have time after the competition. Americano but I do not mean coffee 🙂 and then super simple Garibaldi which is just campari and freshly pressed orange juice and sometimes good Martinez heavier on vermouth. Right now it is Panama. I would never be successful without right people next to me. Firstly my love and biggest critic Mishelle, then my coach and roaster Edita Chodarcevic together with my buddy Dave Jameson. And all of you from WCE who make this happen again. I have been a barista since 2012. Currently working at Vault Coffee. I love coffee and drinks. When I worked part-time at a cafe in 2012, I drank a cup of coffee and the coffee tasted very sweet. I still can’t forget the coffee. I don’t know which country the coffee was from. I like sour and sweet drinks. It is difficult to decide in particular. Travel and recreation. I also like saunas. The company will probably be very busy because it is growing now. If I have a chance, I’d like to stand on the world stage again in five years. Together with my coach, Beiste, I’d like to thank my friends and colleagues who are cheering for me in Korea. I want to enjoy this event. I started with the world of coffee while I was studying Restaurant and Bar Services. There I met the wonderful world of coffee and that led me to train in this discipline, accessing numerous courses, talks, lectures and master class. It was not long before I began my career in the Barista championships. Shortly afterwards thanks to a teacher, I discovered the world of cocktails and from that moment I decided to dedicate myself completely to coffee and cocktails. I started working in different coffee shops and cocktail bars, until in 2012 I decided to open my own project dedicated to specialty coffee and cocktails. Today in addition to deciding my business, I continue to learn and train every day to continue inquiries in this wonderful world of hospitality. The first time that I tasted a speciality coffee, for me it was a realy nice experience because I’d never tasted something like that before. My favourite cocktail is the Negroni as an aperitif and the Old Fashion as a digestif. Only coffee and cocktails — it’s my job and my hobby!! Of course making people happy with my coffees and cocktails! I’d like to recognise all the times that my Girlfriend spend with me and the patience she has. My Family and the team at Kanalla Coffee. My coaches, Damián, Manu Sisto, Diego Campos, Luis Blanco and my team at Moon 93 “Café & Cocktail Bar”— José, Fernando and Adrián. Enjoy! Enjoy with coffee, with cocktails, the people, and if we have a litte time see a little of the beauty of the city too. 31 years old. Raised in South West of France, now living in Geneva. Proud co-founder of Birdie Coffee. Studied business administration at ESCP Europe in Paris. Former consulting manager for French chef Alain Ducasse. An Ethiopian coffee from Chelelektu, roasted by Mokxa, and brewed by Florent Marot in a Chemex. Besides your own competition drink, do you have a favourite cocktail? Head of a nice roasting / cold brew / coffee shops corporation. Happy father of 3 kids. 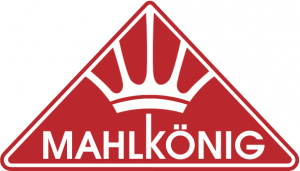 World famous coffee champion, trainer and consultant. 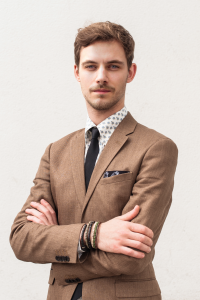 Florent Marot, co-founder and head barista at Birdie, Geneva. Aleaume Paturle and Mickaël Portannier, from Café Lomi in Paris. 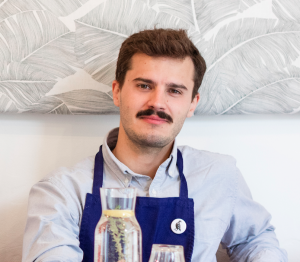 Quentin Beurgaud from Little barrel in Geneva. Piero Monadada, from the Swiss SCA. Caroline and Bertille, my family support ! Meet other coffee folks, go to public baths, and do my best in the CIGS contest. 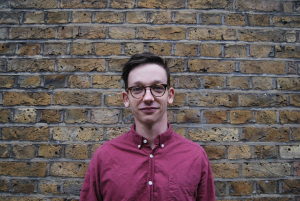 I am a Barista from London, England, working at Origin Coffee Roasters. Living in London means I am fortunate enough to have some of the worlds best bars and coffee shops close by. For Coffee in Good Spirits this year I am keen to share my personal flavour experiences and the stories behind them. I hope you all enjoy & if you want to get in touch, my social media handles are below! I love sport, especially Football (Soccer) & American Football. It is a hard question to answer as the industry is moving at such a high speed. I would like to be a business owner and finding new ways in which we can improve as an industry. There are far too many people to mention everyone – it is definitely a team game! The whole of Origin Coffee Roasters have been tremendous support and guided me all the way. Outside of work my family have always been there for me, even though the only thing I spoke about was coffee. I can’t wait to visit the bars I’ve heard so much about! My name is Ivan Yaremchuk, a regular millennial with a good taste for coffee. I’ve been residing in Kiev for a couple of year now, but originally, I come from a small town of Berdychiv. Even though I’ve studied political science and it’s my primary education, I discovered my true passion was coffee, and started working as a barista around 2015. I don’t consider this a regular job, but rather a calling – there are no limits for self-development and improvement in it. This was my first national competition experience, and I took part in regional ones before that. As a matter of fact, my first success came during the cup-tasting in 2015. Right at that time I fully understood that this is something that inspires me going forward. Usually success is preceded by failure, and I had my share of those. 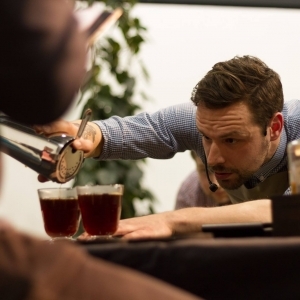 George Koustoumpardis, the 2016 judge of Coffee & Spirits championship, made me understand that failing is something that gives you strength to move forward, and I’m thankful for that. For alternative brewing I will be using an aero-press on the spirit bar. My first amazing coffee experience was Panama Geisha, and at the time I thought it wasn’t coffee at all. I immediately fell in love with its light honey and citrus flavors. I like communicating with new people, change myself and things around me, and I crave new experiences. I want to thank everyone who supported me and helped me to get prepared, especially to my friends and relatives. 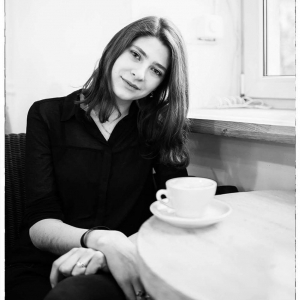 I’d love to see Budapest, meet new people, learn a bit about the I like communicating with new people, change myself and things around me, and I crave new experiences. history, and savor the overall experience.